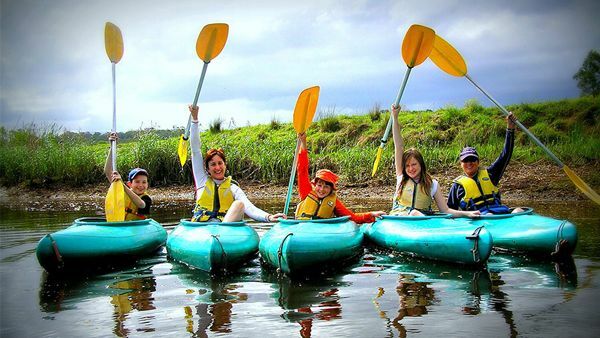 Enjoy a great day out on the majestic Bellingen River with Bellingen Canoe Tours. Bellingen is a beautiful river about 30 minutes south of Coffs Harbour. There are canoe trips suitable for all ages and abilities from beginners through to advanced. Its a fun day out with family or friends, the canoes are extremely stable and are easy to balance in and maneuver. As you make you way down the river you will encounter a variety of wildlife such as fish, birds, water dragons (lizards), koalas, pythons and plenty of local farm animals from one of the many farms spread along the banks of the river. There is a good variety of canoes that you can hire and make your own adventure or you can take one of the guided tour options to get the most out of your time in the water. Check out the options below. * For groups with 4 or more people, they can organize a Nighttime Tour, especially for you! Check to see if it is a quarter moon, half moon or black moon. For all pricing on tours and hire please click the “Booking Enquiry” button below.